With the aging process, comes decreasing memory and recall. At least, that’s according to experts who study the function of the human brain. I would, however, debate this finding. I have determined that I actually NEVER forget anything. It’s just that I’m becoming increasingly more aware that I remember things later than intended. I did NOT actually forget my grocery list. I did remember it when I arrived at the store. I did NOT forget my cell phone because I did remember it about a half hour after I left the house. I did NOT actually forget my wallet. As soon as I went to pay for my items at the hardware store, I remembered it. The same is true for you, my aging friend for you see you don’t actually forget things either. You too sometimes just remember things later than you want to. If you actually forget something, it really won’t matter because you won’t know that you didn’t remember what you forgot. 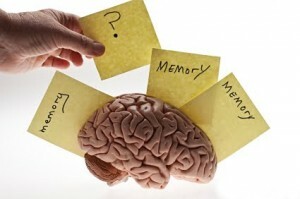 Remembering that you forgot something is actually very good; it’s proof that your memory is still functioning well. If you remember this, you’ll not be so frustrated the next time you think you forgot something. I had to hurry up and type this out before I forgot it.